Amani Kozhakattai Payasam Step by Step Recipe | Vinayagar Chathurthi Recipe!!! WISH ALL MY READERS A VERY HAPPY VINAYAGAR|GANESH CHATHURTHI. GANAPATHI BAPPA MOURYA!!!! Amani Kozhakattai Payasam is prepared with rice flour dough and cooked in jaggery and milk. Preparations are started for Tomorrow's Vinayagar Chathurthi at my home. Some of the dishes are Ullandhu Kozhakattai, Poornam Kozhakattai,Karjikai/Somasi, Ellu Urudai, Paruppu Payasam, Sundal and more. 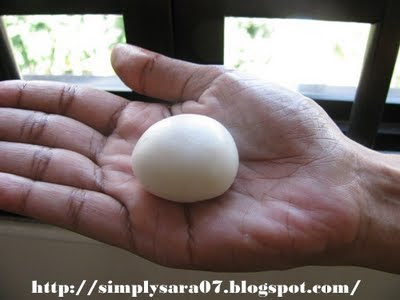 For more recipes on Vinayagar Chathurthi you can browse Indusladies Forum for more recipes here. Take little portion and make small balls. Place it in the idli plate and steam. Kozhakattai Maavu - 1 cup(Approximate 20 tiny balls) to make the dough click here. Steam the kozhakattai urundai, with other kozhakattai and keep ready. Heat a vessel, add vellam/jaggery with little water, let it dissolve. Filter it if any mud particles are there. 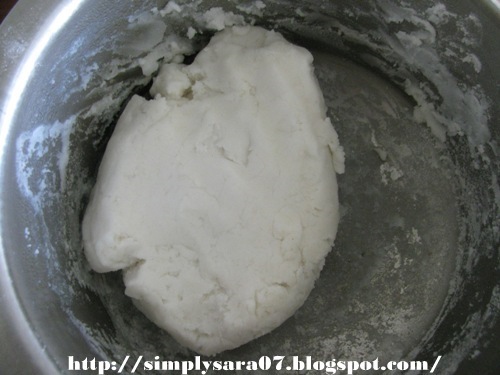 Grind coconut, rice and ellaka in mixer or blender with little water to fine paste. Again boil the vellam/jaggery till raw smell goes, then add milk, kozhakattai urundai. Mix well an boil in simmer flame. 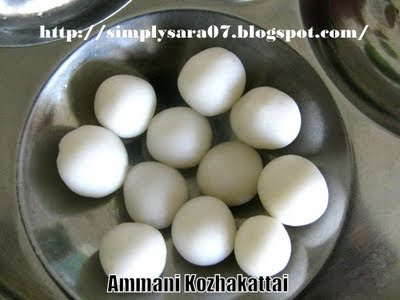 Ammani Kozhakattai Payasam is ready to offer for Lord Vinayagar and Enjoy!!! I do by grinding wet rice batter,this sounds like a nice idea,love it! Happy ganesh puja to you and ur family! Wow Yum, that recipe, process and pics are so interesting and delicious. Looks super delicious and irresistible. beautiful payasam dear...love it...and very new to me! Thank you friends for your wishes. @ Raks, ya my mom makes like that, but I tried like this and it was yumm...time saving. 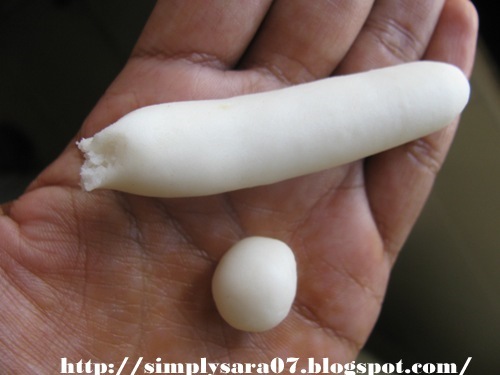 good one even i am left with some rice batter which i made for modhag will do this kheer..with the left one.. good idea..